As leaves start to fall and temperatures begin to drop, now is the perfect time to get a jump start on a beautiful, healthy spring lawn. We recommend the following fall treatments and services to preserve and protect your lawn and irrigation systems. Gorgeous hues of autumn leaves on trees are indeed a gift from Mother Nature, but once they flutter to the ground, it’s time to clean up. 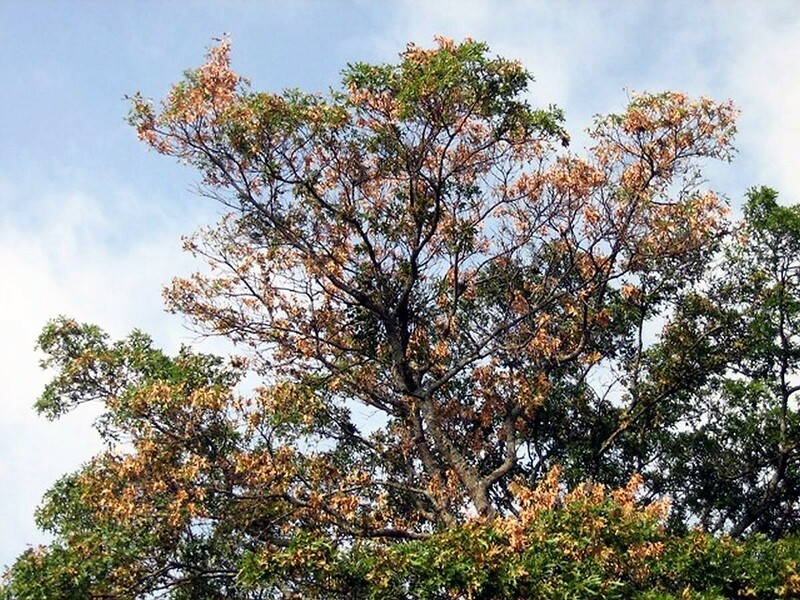 Large amounts of dense leaves can smother grass and plants, grow fungus, become toxic to certain plants, and are unsightly. Fall is also the perfect time to remove dead annuals, trim back perennials, as well as address overgrown trees and shrubs. 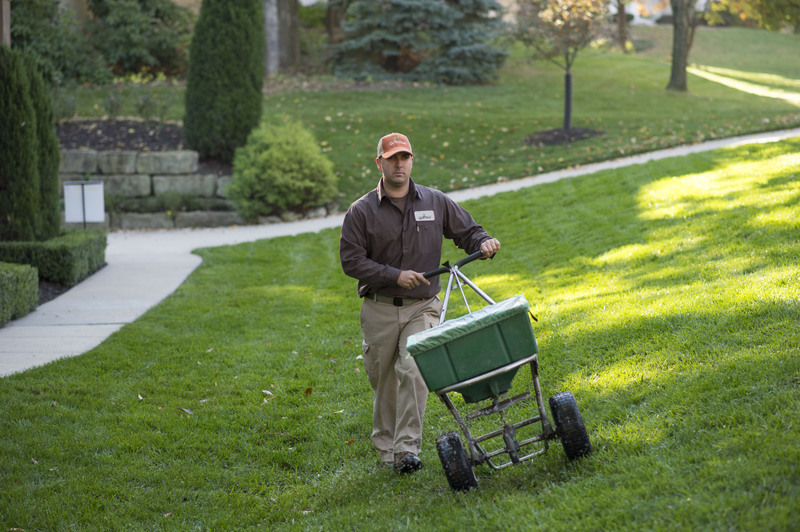 Our fall fertilization program is also formulated to provide additional nutrients Midwest lawns need over winter to energize root growth in the spring. Air, water and nutrients delivered to a lawn’s root system by core aeration in the fall is essential to building a strong root system and a healthy, lush lawn come spring. Our region’s compacted, clay soils drive the need for aeration. It’s the reason why area golf courses and sport turf facilities aerate monthly. At a minimum, we recommend a core aeration in the fall for our residential customers. During core aeration, our lawn care specialists use a machine with rotating tines to create small holes in the lawn by removing small plugs of grass and soil. The plugs of soil that remain on the lawn’s surface then go to work. They contain microorganisms that help to break down thatch – a layer of roots, grass, leaves, etc. – that has built up on the soil’s surface over time, preventing air, water and nutrients from effectively reaching the root system. In the Midwest, fall is also the perfect time to overseed a lawn. Grass seed germinates quickly in the newly formed plugs of soil, ripe with air, water and nutrients. Protective overseeding combined with optimal fertilization can produce a beautiful, lush lawn. It’s time to prepare irrigation systems for Old Man Winter. Long periods of freezing temperatures can cause the soil to freeze at the same depth as underground pipes. To avoid costly repairs come spring, it’s important to shut off the main valve and disable the controller, drain the pipes and insulate the backflow preventer. Our shut-down service includes a compressed air blow-out. Now is the time to protect and prepare. Please call to schedule your fall services today: 816.505.0444.